If you’re planning an international trip, you’ll hear a lot about “forex”. Forex is essentially a short form for foreign exchange. Its rates can vary daily, and sometimes even drastically, according to the country, economic and political scenarios and other factors. 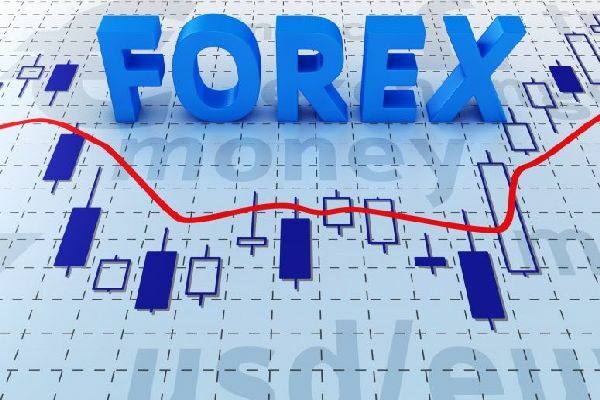 Whichever country you’re planning to visit, these few pointers will help you understand what forex is all about. Every nation has their own currency which has different values set up against a global standard. We can’t use one nation’s currency in another country; which is why we have to buy that foreign currency using our local currency. This is called foreign exchange. For example, if you are visiting London you’ll pay in pounds whereas in Thailand you’ll pay with Thai Baht. There are specific international banks and exchange offices that exchange your currencies. This, however, is time-consuming as you have to first withdraw your local currency. Then visit the exchange centre to exchange it for foreign currency which comes to you in cash. Since all currencies have different values for buying and selling, timing is crucial. In a perfect scenario, you must buy forex when the prices are low. This will enable you to get more of the foreign currency. Similarly, if you have excess forex remaining after your trip, and have no further need for it, you must sell when the forex value is high. In case, you come back with significant foreign currency, you can choose to wait until you get a lucrative rate or just keep the balance for your next trip. An international trip is not cheap! Besides, we don’t want other hidden costs added to our expenses. Some of these are costs levied by banks for international transactions on credit or debit cards, high service charges on card payments, and different exchange rates levied by currency exchange centres. Thomas Cook Forex cards eliminate all such snags. This helps you save a big chunk of your money, little by little, with every transaction you make. Forex cards are the best alternatives for all financial transactions when you are travelling abroad – whether it’s shopping, travelling, entertaining or sight-seeing. You don’t want to compromise on your holiday and as a result, have a big itinerary planned. But you also don’t want to be running around with wads of cash as this could catch the eyes of thieves and touts. Thomas Cook forex card is not only a safer option, but it also helps you keep a track of your expenses as you can log in anytime to check your statement; making your trip a budget-friendly adventure. Unlike banks who levy a transaction charge on every swipe, Thomas Cook doesn’t levy any charges. You also don’t have to worry about depleting your bank balance as unlike a debit card, your forex card isn’t linked to your bank account. Exchanging cash at the airport can become very expensive as airports tend to charge a higher rate. Load how much ever amount you need in your Thomas Cook forex card from wherever you are to avoid unnecessarily hiked exchange rates. Losing your debit or credit card can be a nightmare. Not only are you at an incredible risk of theft from your bank account but also have to go through a tedious process of blocking the card. Besides getting a new one could take days, which could hinder your travel plans if you’re on a tight schedule or a group tour. Thomas Cook gives you a free back up forex card in 24 hours if you lose the original one. You also receive US$500 to help you tide over expenses. Plus, you needn’t worry about misuse of the lost card our global customer service helpline is available 24/7. The loss of your card will be immediately recorded and precautionary measures implemented. Whether you are transferring money from India or transferring from another country to India, you can do so with a single click on Thomas Cook’s Forex app. Once you fill in all your details for money transfer, Thomas Cook customer service executives will contact you for further process. You don’t have to worry about studying the entire literature to transfer money between countries. This is great for parents wanting to transfer funds to their children studying abroad. And even for working professionals abroad wanting to send money back home to India. If you like to be organized and keep everything ready well in advance, then Thomas Cook is the place for you. You can issue your forex card about 6 months prior to your actual date of travel. Standing in the queue at the airport to exchange currency or scouting exchange banks is definitely not in anyone’s travel plan and might also exhaust you. To avoid all the running around, Thomas Cook lets you issue your forex card way before your trip. Buying your card in advance also helps you get the best rates. You can set the preferred rate on the Thomas Get best rates by setting a notification on Thomas Cook website and you’ll receive an update when that happens. This will help you avoid currency fluctuations. You don’t have to worry about visiting any banks or exchange offices with Thomas Cook. Your forex card will be delivered at your doorstep by us within a minimal time duration. Your banks will levy heavy transaction fees every time you swipe your debit or credit card in a foreign country. With Forex card you are saved from such service charges, you will also get a reasonable exchange rate with your forex card. Hence, it’s a win-win situation as you neither pay service charge nor do you grapple with fluctuating exchange rates. Most banks levy a withdrawal charge every time you withdraw foreign exchange from an ATM. Thomas Cook does not levy any withdrawal charge whatever the amount or as many times as you withdraw. There are specific international banks and exchange offices that exchange your currencies. This, however, is time-consuming as you have to first withdraw your local currency. Then visit the exchange centre to exchange it for foreign currency which comes to you in cash. The Thomas forex card is more convenient and hassle-free as you can simply load the card with the foreign currency of your choice by transferring it from your bank account. As many times you want. At no cost. How can Thomas Cook’s Forex App help? To get the best exchange rates you will have to keep a tab on the fluctuations. While this can be a very tedious and time-consuming task, Thomas Cook’s forex app makes it a smooth walk for you. On Thomas Cook’s forex app you can not only check the live rate alerts but also buy or hedge your currency by checking the value after conversion. You can also reload your forex card on the app with 8 different currencies. If you want to avoid the entire trouble of checking the rates and deciding whether to buy or sell, then Thomas Cook’s forex app is your must-have app. Thomas Cook’s forex cards are your ultimate options to avoid all the hassles of extra charges, theft, etc. along with a 24/7 helpline that will assist you in case you face any emergencies. In case, you always want to keep a tab on your finances and don’t want to talk to a customer care executive every time then just download the Thomas Cook’s forex app. With Thomas Cook, you don’t have to worry about your finances when you are in foreign lands.